When I decided to write a Christmas mystery, I had no idea I would end up placing it in Denver, Colorado, even though I was raised in the suburbs of that city. But research has a delicious way of making story plots stronger, and sometimes steering the direction of your story to all new adventures. Well, since I was writing about a detective, I figured we might as well start at the golden age – at the very emergence of the profession. So that is where my research began. The P.I. profession began to take precedence in America during the late 1800’s to early 1900’s. What caused such a great need for a new profession such as Private Investigators and Detectives is a post in and of itself. For now we will suffice it to say that in the aftermath of the Civil War, someone needed to combat the rising number of Al Capone types in our nation. I hadn’t researched very far when Colorado began popping up. Interestingly enough, Colorado was big for detective work in the early days, but not for the same reason as Chicago. 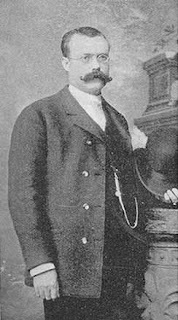 One of the first Pinkerton offices was stationed in Denver, directed by the infamous James McParland. The FBI also opened an office there in the early 1900’s. 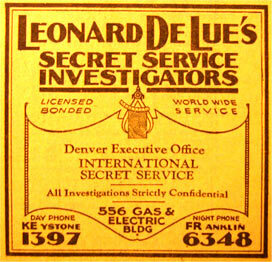 According to the Professional Private Investigators Association of Colorado, “Those of you familiar with downtown Denver may not yet fully realize that there were literally hundreds of Private Detectives shadowing and watching the activities of WFM (Western Federation of Miners) officials, friends and visitors…” in popular Denver locations. Wait…Detectives watching every move of the officers of mining companies? In Denver? This caught my attention. If there’s hundreds of detectives, why aren’t they watching the crooks, the Al Capones instead of the business men? 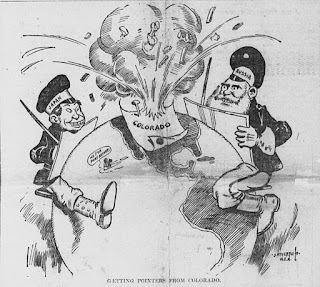 The article on PPIA continues, “During the first Decade of the 20th Century (specifically 1899 to 1907) Denver Colorado was at the epicenter of a deadly dangerous battle between American Labor and Capital.” It was this tidbit that brought an exciting new element to my Solve by Christmas detective story—The Colorado labor wars. 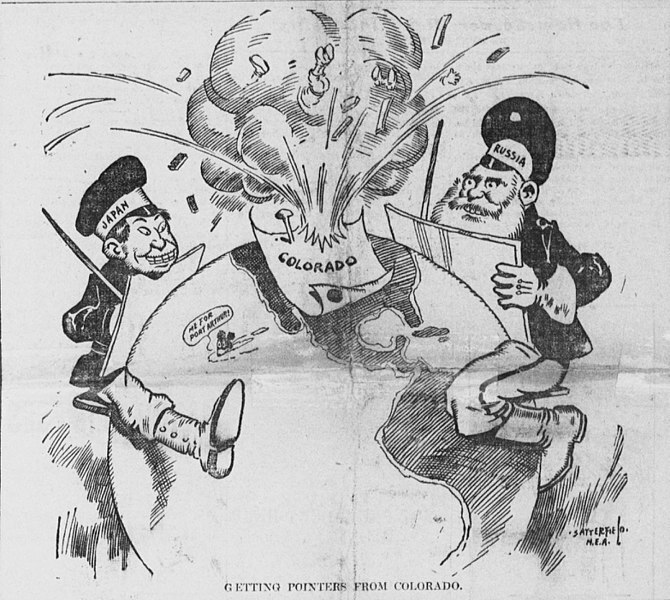 Cartoon comparing the Colorado labor wars to Russo-Japanese war. The labor wars fueled the need for detectives in Denver and contributed to their success. Why? Because as one historian put it, "There is no episode in American labor history in which violence was as systematically used by employers as in the Colorado labor war of 1903 and 1904." Violence, plotting, spying…all of this was a part of the deadly and seditious labor wars in Colorado. Companies would hire detectives to ferret out troublemakers, members of societies and unions; while unions and other organizations had their own spies, infiltrators and even assassins. Colorado’s need for justice was not the same as Chicago’s, so being a detective in Chicago verses in Denver would have been vastly different, but the industry flourished just the same. Have you ever discovered a surprising fact about your home state? 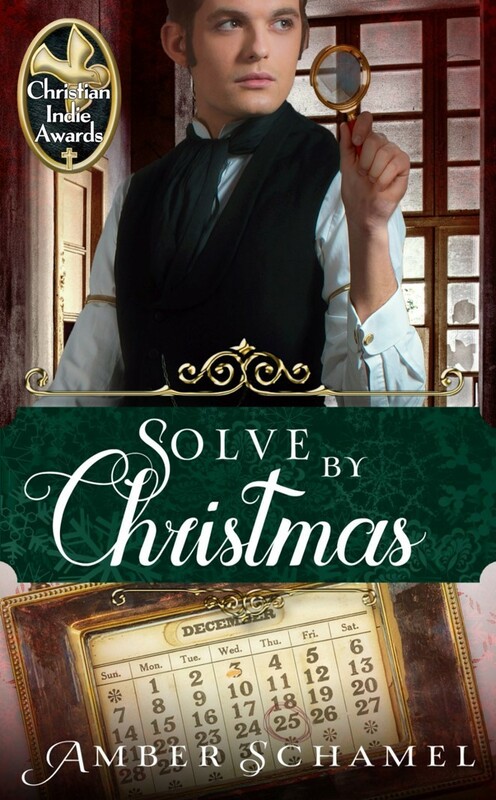 Tell me what it is to be entered in a drawing for an ebook copy of Solve by Christmas! I come from Vermont and there is a historical precedent that Vermont was a great route to smuggle illegal items from Canada through the states, in both directions. My husband says that's how Smuggler's Notch got its name. Imagine that? Great post. Wow, how interesting! Thanks for sharing, Connie. I'm now very curious as to what they would be smuggling from Canada. I live an hour from Chicago. But I spent years in Southern Illinois. I was surprised to learn from an uncle that Williamson County was worse then Chicago for bootlegging and labor problems. Eight hours south of Chicago, more crime due to Prohibition and labor unions then anywhere else in the state. There is an out-of-print book Bloody Williamson that documents the events. I imagine it would be very hard to know the source of a fire like that, especially without the technology we have today. Funny how some myths get debunked, but you still don't know the real story. Oh wow, that's awful. Were a lot of people hurt?